Need Good Solar Lights that Last Longer in the UK? Welcome to the PowerBee Range of Quality Outdoor Solar Powered Lights designed to Work Longer in the UK !!! Shop Best Prices on a Range of Great Quality Outdoor Solar Powered Lights, we stock the Famous Ray and Signaller Shed & Solar Security Lights, as well as the Legendary Custodian Solar Spot Light. from hanging Solar Lanterns in Trees for Atmosphere to Draping Fairy Lights for Sparkle. Our Led Lights have been chosen Specifically for the UK Climate. We understand that in the UK, Solar needs to be at its best to work. 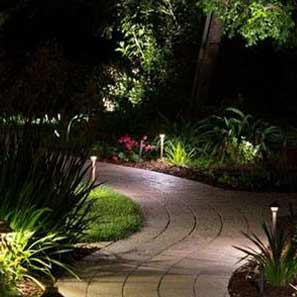 We also offer a budget range of Lights to operate in summer. Add Lighting to Alleyways, Porches, Garages, or Sheds with Our Range of Solar Powered Security and Motion Sensor Wall Lights. PowerBee have been specialising in Solar Lighting for over 10 Years in the UK. PowerBee Brand lights are designed to Last. Our Solar Cells Charge from All Light sources, not just the Sun. All components are tested and retested to ensure PowerBee brand lights work well all year around. We believe you get what you pay for with solar lights its worth spending a little more and buying something that actually works. Now solar powered lights really are an alternative to mains lighting, please take a look at some of our reviews. Based in the Heart of Sunny Sussex and Retailing Quality Garden Lights All Over the UK, PowerBee Offer Great Outdoor Solar Lights at Great Prices !! !